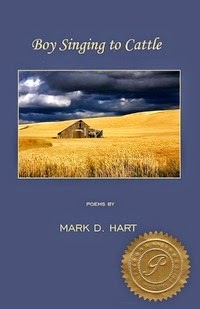 Mark Hart's book, Boy Singing to Cattle," winner of the Poetry Prize, was a finalist for the 2014 Massachusetts Book Award. In the words of judge, Andrea Carter Brown, ''at once a moving elegy for a lost parent, a portrait of a way of life, and of the landscape and community tied to it, and a reconciliation with that past.'' 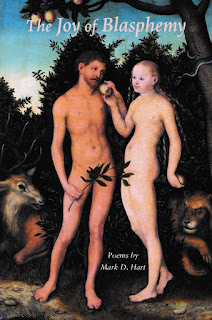 From the wheat fields of his boyhood in the Pacific Northwest to the woods of rural New England, Hart takes us on a spiritual journey across the land, showing what it means to be a man in the brief moment of earthly existence we are afforded in life. However fleeting and impermanent the marks men have made on the land and the people around them, they remain indelible in Hart's memory, and are given lasting permanence in Boy Singing to Cattle, his first book of poetry. You can buy a signed copy from the author by sending $15 plus $2.50 postage to Mark's address on the contacts page. Or you can order it through the publisher, Pearl Editions or Amazon.